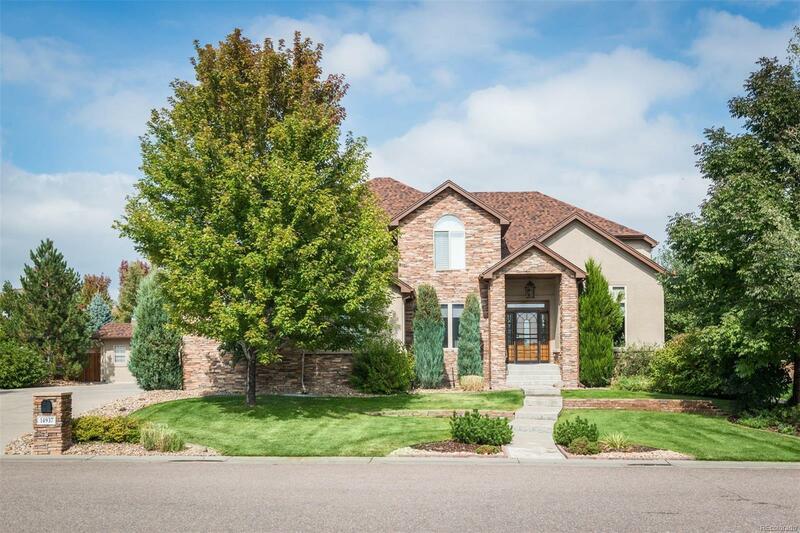 Custom Golden Colorado home with 5 beds, 5 baths, high-end finishes, great natural light, spacious and open floor plan. The kitchen was built for entertaining with top-of-the-line Viking gas range and refrigerator and easy access to formal dining. The master suite consists of a generous bedroom, large walk-in closet and 5 piece bath which includes a jetted spa. There are 3 gas fireplaces, a family room, eat-in kitchen and multiple living spaces. Did I mention the theater room and customized bar in the basement?! Private backyard with hot tub, patio and plenty of room for Fido and the kids to play. There's also an oversized 3 car garage. The home is located at the end of a cul-de-sac in a peaceful neighborhood with nearby park and clubhouse. Dream Home 2019.